Thanksgiving is a time to reflect on what we’re most grateful for, to be with family, and to introduce the upcoming holiday season. It’s a notable time of year for many people, and some argue it’s their favorite holiday all year. The days following Thanksgiving have, in recent times, become part of the holiday weekend celebration. Black Friday is the largest shopping day of the year, followed by Small Business Saturday, which allows local businesses to shine. As a restaurant owner, you have many opportunities to take advantage of these three days. Read on for ways to find restaurant success this Thanksgiving weekend. Let’s start with the official holiday that will be taking place on November 22nd. Thanksgiving, besides being focused on family and friends, puts food as the focal point. Some families choose to serve a home cooked meal, but others opt to skip the fuss and dine out. It’s expected that 1 in every 10 adults will take their turkey day celebrations to the restaurant dining floor. If you’re offering a Thanksgiving menu this holiday, you should already be making your customers aware of it. By now, you should have a solid list of reservations and should turn your focus to staffing, food supply, and the overall flow of the day. Posting your Thanksgiving-exclusive menu online will help guests get acquainted with their options and ensures you’re reaching a wider audience looking to dine out on the day. When it comes to the service on Thanksgiving, you should plan ahead and train your staff accordingly. If you have any specials for the day, brief all servers ahead of time. Get them acquainted with your holiday-specific desserts and drinks as well so they can upsell during the meal. Make sure you have enough people on staff to handle the crowds and plan for any last-minute call-outs. 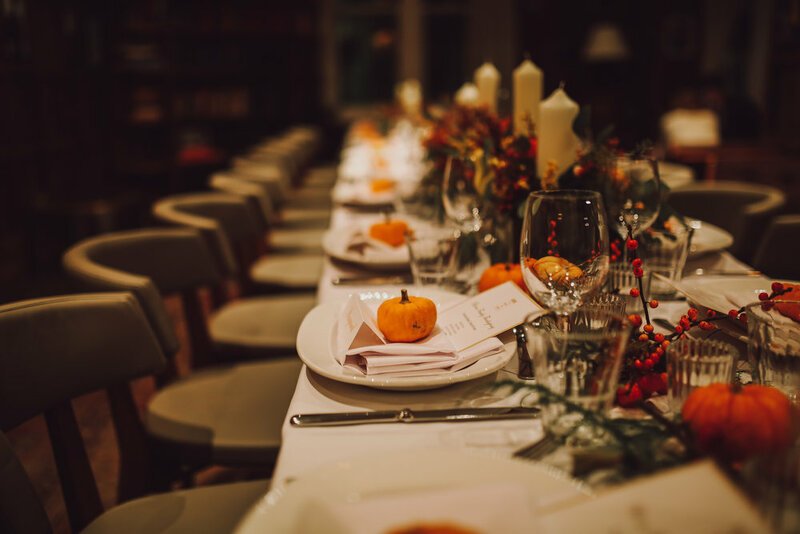 Your guests have chosen to celebrate the holiday at your restaurant – and Thanksgiving is all about being grateful after all. Let your customers know that you’re appreciative of their business by giving them a little something extra. You can create take-home goodie bags for children or offer a discount coupon for the next meal. You can even serve a complimentary dessert to each table. Giving back shows that you’re thankful for the patronage and inspires customer loyalty. If you want to get extra-creative, prepare your guests for their Black Friday shopping sprees by offering a to-go cup of coffee. If you have time, get some disposable cups with your restaurant logo on it to serve the coffee in. What better way to spread the word about your business than having customers as walking advertisements? Thanksgiving is a time for celebration, reflection, and of course, food. It’s a golden opportunity to make your guests that are dining with you on November 22nd feel welcome. Go above and beyond their expectations to make the holiday truly special. Millions of people brave the cold weather in early morning hours to score some Black Friday steals. 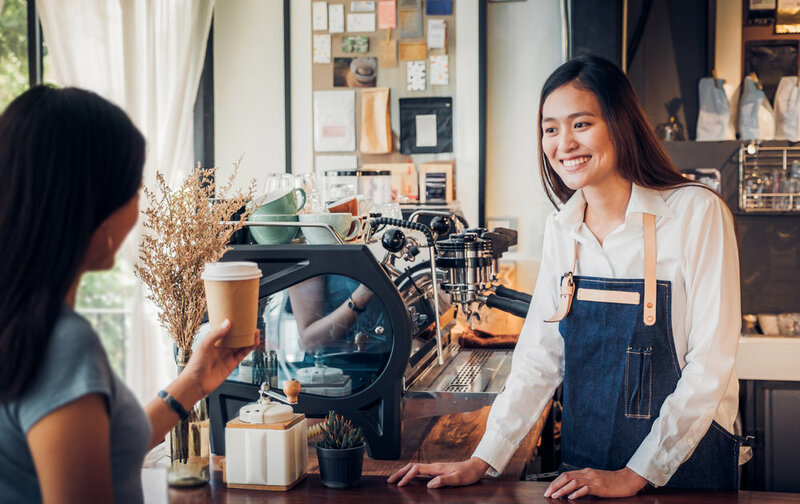 Although your restaurant probably won’t be opening at midnight like some of the big box stores, you can be the fuel to get shoppers through the mid-day shopping slump. In fact, the most popular shopping time on Black Friday isn’t in the wee hours, but instead at 4pm. Prime time for you! Statistics show that 174 million people hit the stores during Black Friday weekend. As a restaurant, you can join in on the fun. Offer discounted lunch meals and BOGO coffee deals to delight hungry and tired customers. Want to make it more interesting? Host a “beat the clock” event, where your prices on select food and drink items increase at the top of each hour. Market this ahead of time on social media to inspire people to visit you. Bonus Tip: Make sure your gift cards and other items for purchase are on display at your registers and hostess station. The truth is, more and more people are turning to online shopping to complete their holiday purchases. It’s much easier to wake up and walk to your laptop than to travel to a shopping mall! Although the official online shopping day is on Cyber Monday, the sales typically start earlier and earlier each year. In 2016, people spent $3 billion on online purchases on Black Friday alone! This cyber-shopping phenomenon doesn’t have to hurt your business. The shoppers still need their fuel. Offer discounts on delivery or special Black Friday-only coupons to be applied to online orders. Delivering meals right to these shoppers doors ensures they won’t miss a beat (or a sale). Created in 2010 by American Express, the goal of Small Business Saturday is to give local businesses and purveyors a chance to shine. 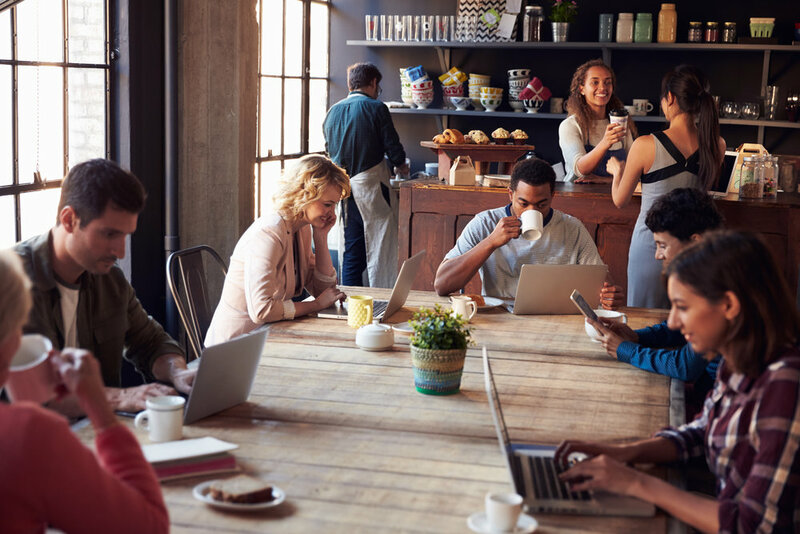 Big box, commercial chain stores take center stage on Black Friday & Cyber Monday, and American Express knew there needed to be a day to honor the thousands of small businesses that exist across the country. As a small business owner, this is the perfect time to get involved in your community and take advantage of the day. Promote the hashtag #smallbusinesssaturday on your social media channels before November 24th and keep your followers informed on any offers or discounts you’ll have. You may want to consider discounting gift card purchases (or adding an additional coupon to every gift card purchase), discounting any other items you sell at your restaurant (food items, cookbooks, swag), or donating a percentage of every meal to a cause you care about. It’s the perfect time to give back to your customers, and your community, while marketing your local business. Get involved with other local businesses and find opportunities for a partnership. This cross-marketing effort can help you spread brand awareness and create a community alliance. Maybe a local boutique is hosting a sale on Saturday – be there to sell coffee and snacks to shoppers. You can also hand out free swag items, like pens or mugs, with your logo on it. This is a great way to keep your restaurant’s name top-of-mind. Thanksgiving is around the corner, and following the holiday is a weekend full of fun and holiday season preparations. You can make the most out of each day by planning ahead, getting creative with your offerings, and most importantly, showing your gratitude toward your loyal customers. Creating an inviting atmosphere to dine in on Thanksgiving, providing the energy hungry shoppers need on Black Friday, and bonding with your community and fellow local businesses on Small Business Saturday, are all ways to find even more restaurant success for the holiday weekend.